This page provides descriptions of potential research and design projects for computer science students. Students taking the senior capstone course should contact me at tdesell AT cs DOT und DOT edu with questions and to get approval from the external member (if there is one). Graduate students can contact either me or the listed computer science faculty advisor. Wildlife@Home is a website that integrates crowd sourcing, volunteer computing, computer vision methods, and wildlife ecology into a citizen science project. Our goals with the project are to find more efficient ways to understand nesting behaviors of birds experiencing conservation threats. 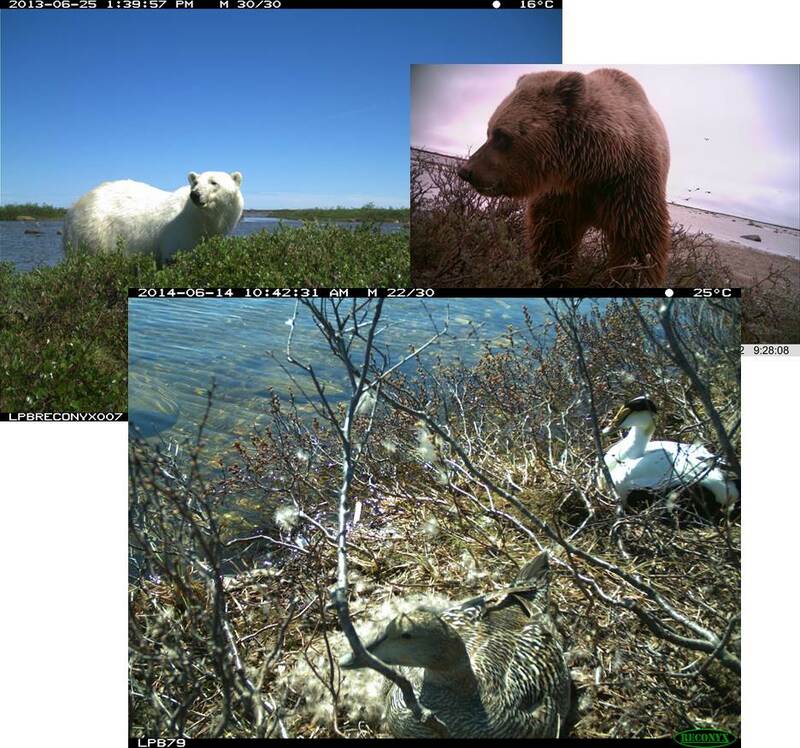 We are expanding the project to include time-lapse photography to our nest video collection to allow us to identify nest predators (e.g., polar bears, grizzly bears, arctic foxes, etc) and nesting behaviors to two tundra nesting species (e.g., common eiders and lesser snow geese). 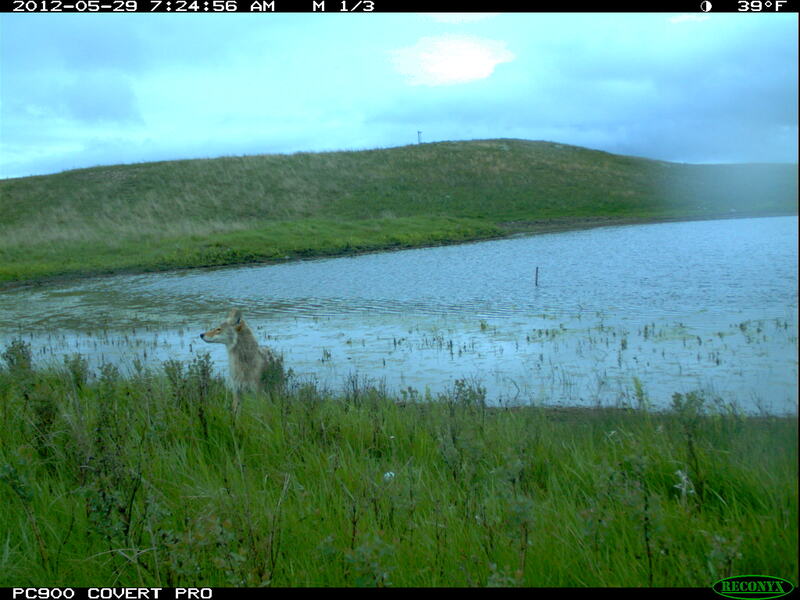 Dr. Desell and Dr. Felege have been working with colleagues at Utah State University who have placed motion sensor cameras along the Hudson Bay to monitor wildlife activity, as well as a UND graduate student who has collected trail camera photos of predators around North Dakota. In total, there are over 2,000,000 photos from the Hudson Bay, and over 20,000 photos from North Dakota. We would like to develop a crowd sourcing interface as part of Wildlife@Home where users can view this videos and highlight areas where there are animals, labeling what animals are in the photos. Developing mobile apps for this crowd sourcing application would also be very exciting. There is also possibility of taking the volunteer classified animal images and training computer vision techniques to automatically recognize them. Your task: To help us create a webpage and associated database that allows us to show volunteers images of nesting birds, highlight animals in images, and record information about those animals. Observations from volunteers and project experts will be stored in a database for use in comparing volunteer accuracy and as data source for computer vision testing. Opportunities to assist in developing image recognition algorithms that can be tested using our volunteer computing community may also exist as a part of this project. Genomics and next generation sequencing are rapidly expanding fields that explore the complexities of DNA. Made possible by massively parallel DNA sequencing technology, analysis of the entire genetic code of all types of organisms is pushing biology and medicine forward. The enormous amounts of data and complexities of the analysis algorithms make this field perfect for cross discipline collaboration between biology and computer science researchers. This project is a unique opportunity to use these techniques to study the DNA and evolutionary biology of ancient humans and microbial colonies. The analysis will use tools like the Broad institute's Genome Analysis Toolkit to mine sequence data for subtle evolutionary differences between modern humans and samples collected from a 70,000 year old hominid in western Russia. To analyze genetic material from this fossil for several different outcomes relating to finding this individual's place in evolutionary history. To accomplish this the student will work to determine fossil age, gene flow, as well as what kinds of functional genetic features found in this individual are different from modern Humans, Denisovans, and Neanderthals. The second analysis objective is directed at studying the microbial environment of ancient humans. It is possible to mine the collected genetic material for not only human DNA but for the DNA left behind by micro-organisms that lived alongside the ancient individual. The student will attempt to isolate enough sequence information, unique from hominid DNA, from the data set to begin to catalog the microbiome of ancient humans. The computer animation and game development specialization requires the development of a four minute computer animation and a computer game. These projects can be used in conjunction with the capstone. A team of students will develop a game concept, followed by an animation concept (the animation must be related to the game). Each team member will use OpenGL and C++ to develop their component of the animation, followed by an integration assignment where the component pieces are merged, culminating in a rendering assignment where the RayGL library is used to produce PovRAY SDL files rendered on the department's high performance computing equipment. Following the development of the animation, teams will further develop the game concept and the design. At which point the teams will implement their game design using the platform of their choice (Unity, etc) culminating in an integration assignment where the component pieces are merged into the final game. The development of educational games is highly encouraged. 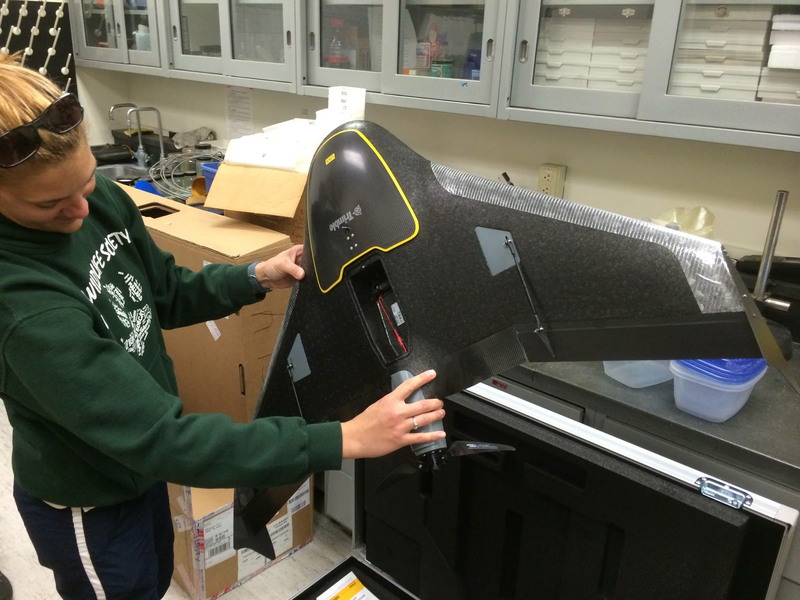 Dr. Desell, Dr. Felege and Dr. Newman have been working with various wildlife agencies to begin using unmanned aerial systems to perform wildlife surveys, as one of the most common causes of death of forestry workers is done during manned aerial surveys. 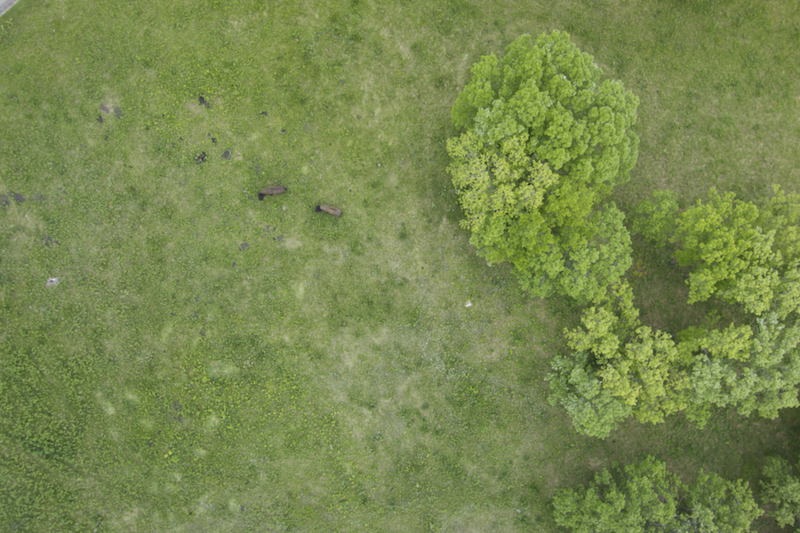 The team has recently purchased a Trimble UX5 UAS for this work, and have gathered some large preliminary data sets of video and multispectral imagery from over Sully's Hill North Dakota, which includes bison, their calves and prarie dogs. This project will involved developing software that can detect and count animals of different species using computer vision techniques. Digital rhetoric is the study and production of communication in digital media environments. Dr. Basgier (from the English Department) is interested in studying the rhetoric of Reddit, using a preexisting database of comments (the entire comment base of reddit has been made available at approximately 3 terabytes). This project will have two phases: first, the creation of a simple script to enable a corpus analysis of comments; and second, a platform for crowd-sourced tagging and annotation of Reddit comments. Dr. Basgier will provide an initial set of tags, but users should be able to add additional tags if they come upon a comment that does not fit the existing list. Also, because single comments are not always clear, users should be able to view the context of the comments to better understand, and therefore tag, their rhetorical purpose. 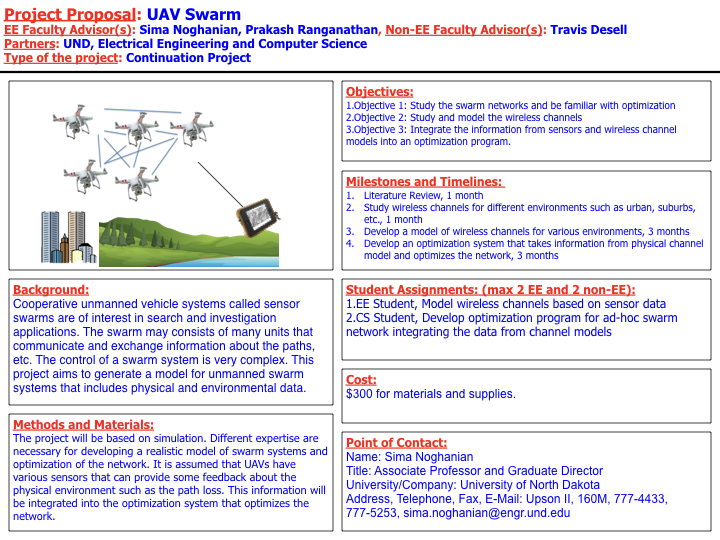 This is a collaborative project with the Electrical Engineering Capstone course, and will involve working with a group of EE capstone students as well. Professor Higgins has been collecting flight data from UND Aviation student flights for the last three years, resulting in a large database of per second flight data recorder readings from over 80,000 flights. As general aviation has the highest fatality and accident rates in civil aviation, we are interested in developing techniques to data mine this database to find anomalous and potentially hazardous flights so we can use this data to develop sensors to provide warnings to pilots, preventing accidents. Current efforts involve using recurrent neural networks to predict flight parameters, and self-organizing maps to cluster the flight data to find outliers. We are interested in developing a volunteer computing and crowd sourcing project to help analyze this data as well, so there are many options for capstone projects, such as developing a web interface to replay flights using Cesium and providing an interface to allow users to describe and potential problems that may have arisen in the flight. DNA@Home is a project being developed in conjunction with Professors Malik Magdon-Ismail, Boleslaw Szymanski, and Lee Newberg at Rensselaer Polytechnic Institute. Dr. Newberg also works at the New York Department of Health's Wadsworth Center. The goal of DNA@Home is to discover what regulates the genes in DNA. DNA@Home does this by looking for protein binding sites in the DNA between genes. Currently, DNA@Home is analyzing the DNA of Mycobacterium tuberculosis. This is done using Gibbs sampling, which is a variant of Markov-Chain Monte Carlo sampling. As this sampling can be extremely time consuming, DNA@Home has been set up as a volunteer computing project in hopes that volunteers will provide enough computing power to perform this sampling at a full genome scale. Implementing versions of the DNA@Home application for graphical processing units (GPUS). Implementing "fragementation" within the DNA@Home application, which allows the potential models of protein binding sites to have variable gaps. Developing and examining asynchronous/distributed sampling algorithms to allow faster discovery of these binding sites using distributed computing systems. Developing web interfaces for DNA@Home's scientists to start new sampling runs and easily track their progress. This project will study dynamical electrical properties of classical inductor-capacitor-resistor (LCR) networks. In particular, this project will be to study the behavior of the conductivity, electric susceptibility, diamagnetic susceptibility, and scanning probe capacitance/conductance near the superconductor-insulator transition (the percolation threshold). The study is directly relevant to experiments on superconductor-insulator composite materials, and it is also part of a large research program in which various models are compared in order to separate the effects of quenched disorder, Coulomb blockade, and pairbreaking. The project will utilize an efficient algorithm developed by Dr. Loh's group, which has been demonstrated to work on very large systems (6000x6000 lattices with 30,000,000 circuit elements, compared to 20x20 and 100x100 lattices previously studied in the literature). The algorithm involves simple algebraic updates of voltages and currents on a grid, so students will be able to take existing code and modify initial conditions, boundary conditions, and measured quantities. On potential task will be to extend the algorithm for use on parallel computing systems (GPUs or UND's high performance computing clusters) for running even larger systems. The project will also involve developing visualizations (such as current patterns, spectra, color plots, animations) in OpenGL or other graphics package. Breast cancer is the most common nonskin malignancy in women and the second leading cause of female cancer mortality after lung cancer. Women in the United States have the highest incidence rates of breast cancer in the world, with about 200,000 new cases of breast cancer diagnosed and 49,000 women dying each year. Men are also affected by this disease because the breast is composed of identical tissues in males and females. However, the incidences of breast cancer in men are approximately 100 times less common than in women, but men with breast cancer are considered to have the same statistical survival rates as women. Since the causes of this disease are not all known, primary preventions seem impossible. However, early detection is the major key to surviving this disease. Therefore, this project aims to develop image and signal processing techniques for early detection of breast cancer. Dr. Desell has developed a generic framework for parallel and distributed numerical optimization called TAO, a Toolkit for Asynchronous Optimization. TAO has C/C++ based implementations of evolutionary algorithms (such as genetic search, particle swarm optimization and differential evolution), as well as other optimization methods (newton method, conjugate gradient descent). Implementing and examining the performance and convergence rates of different benchmark functions using different types of parallelism on different distributed computing networks, such as peer-to-peer, cluster, grid or volunteer computing systems. Investigating new types of evolutionary algorithms that may be more suited to distributed computing environments. Extending the framework to include machine learning algorithms such as support vector machines and neural networks, which could be then optimized by the frameworks numerical optimization code. This project is to conitnue development of a high performance geological heat transfer simulation. The code simulates heat transport in mass and fluid flow scenarios on scales ranging from thousands of km for plate tectonics to cm for fluid flow in geothermal systems. It has recently been extended to support conduction and convection simulation in three dimensions, 3D visualization, as well as the erosion of different compounds. Initial data sets have been gathered and this project will use them to model the erosion of the Grand Canyon, in hopes to answer questions about the uncertainty of its age. Part of this will involve, to adequately simulate the erosion of the Grand Canyon, implementing different dynamic reconfiguration strategies, as simulated erosion changes the computational load as the simulation executes. The goal of this project is to efficiently use the geological simulation to model the erosion of the entire grand canyon as well as other geological areas, but also investigate advanced load balancing methods. It will also be possible to investigate other types of computational fluid dynamics simulation under the supervision of Dr. Krishnamoorthy as part of this project. Using a Bitalino board, previous capstone teams have successfully developed a system (Android app) that can monitor and display a person’s heartbeat. Further work is desired to enhance the app to analyze the heartbeat and detect a number of the more common heartbeat abnormalities. UND’s School of Medicine and Health Sciences is interested in using this as a training tool. Departments at UND maintain major and minor inventory lists. Assets are tagged with barcoded stickers. Modern smart phones can take pictures which are high enough resolution to read the barcodes. I would like to leverage these facts to create an smartphone based (Android first, other phone OS’s could be added later) inventory system. We would need to have the data stored on a server and then 1 (or more) apps to manage the data. From a smartphone, I would want to be able to locate, verify, update, and/or move inventory. I would also want to be able to use my smartphone to create, view, update, disable, or remove other users (as an admin…Obviously regular users shouldn’t be able to do that), as well as check the logs for recent activity. The system will be live, so it will need authentication and be able to handle multiple, concurrent users. System will also need to produce Excel files (or CSV’s) as well as accept Excel files (or CSV’s) of the inventory items. The Mapping North Dakota project is an interdisciplinary initiative in the College of Arts & Sciences that focuses on citizen literacy on North Dakota. In celebration and recognition of North Dakota’s 125th year of statehood this fall, an interdisciplinary group of 10-20 students will work under the mentorship of faculty to engage in mapping demographic, economic, and social changes across the state, interpreting such changes, and disseminating findings in digital form. Given the significant changes in the state in recent years, the interpretive project provides an important resource to policy makers, community members, and K-12 colleagues and students. Students from across the college have been invited to participate in a 3-credit course and/or directed studies to complete the task. Dr. Michael Niedzielski from geography and Dr. Tami Carmichael from Integrated Studies are the lead faculty members. They are working with a team of faculty from history, anthropology, religious studies, computer science, sociology, and American Indian Studies – each of them will mentor students who are part of this project. Your task will be to do the web and database design for the project. Systems biology is an emerging field which takes a non-reductionist approach to complex biological systems. On a practical level this invariably requires that we build computational models of such systems. We work on a model that, from quantitative gene expression data, infers the scheme by which the expression of genes is controlled. The model simulates the binding of transcription factors, proteins that affect gene expression, to DNA using statistical physics principles and then predicts gene expression using phenomenological principles. The parameters and regulatory scheme are inferred using global non-linear optimization techniques such as simulated annealing running on parallel computers. The code (originally developed by the Reinitz lab at the University of Chicago) is written in C and uses MPI for parallel communication. This reverse engineering scheme could potentially benefit from GPU parallelization since the number of models to be evaluated is 2^N, where N is the number of transcription factors. GPU parallelization would enable scaling this methodology to much larger numbers of transcription factors and datasets. The project will involve evaluating which layer in the stack, occupancy calculation/individual optimization/individual model, is most suitable for GPU parallelization and then implementing the GPU code with CUDA or openCL. 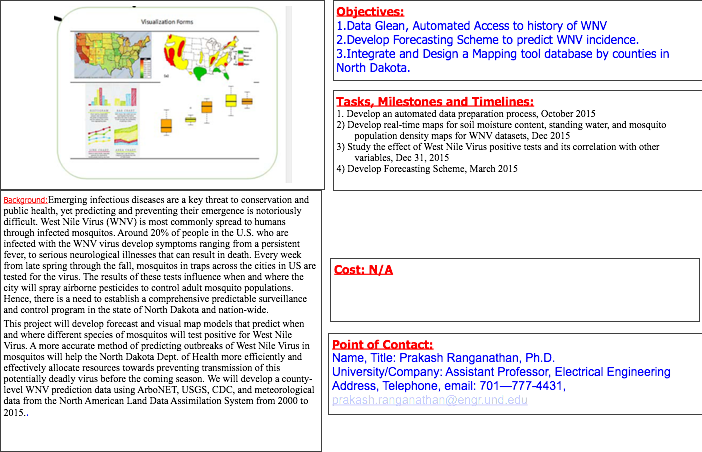 The goal of this project is to implement microwave imaging using Graphic Processing Units (GPUs) using the Finite Difference Time Domain (FDTD) simulation method along with bio-inspired optimization methods such as Genetic Algorithms (GAs) or Evolutionary Algorithms (EAs). The FDTD algorithm is essentially data-parallel in nature, making it well suited to GPU computing. With parallel computations of the FDTD codes, we are able to reduce the time required to provide reconstruction of images, which will allow better detection of different objects in tissue, such as breast cancer. The parallel implementation is necessary in order to reach high-quality solutions in reasonable time. The parallelization of FDTD using GPU has already been implemented for a two dimensional space. This project will be to extend it to three dimensional space and perform a comparison of different optimization methods in terms of speed-up and memory usage. Capture-recapture is one of the core techniques used in wildlife studies to estimate survival and movement rates of individual animals and abundance of populations. 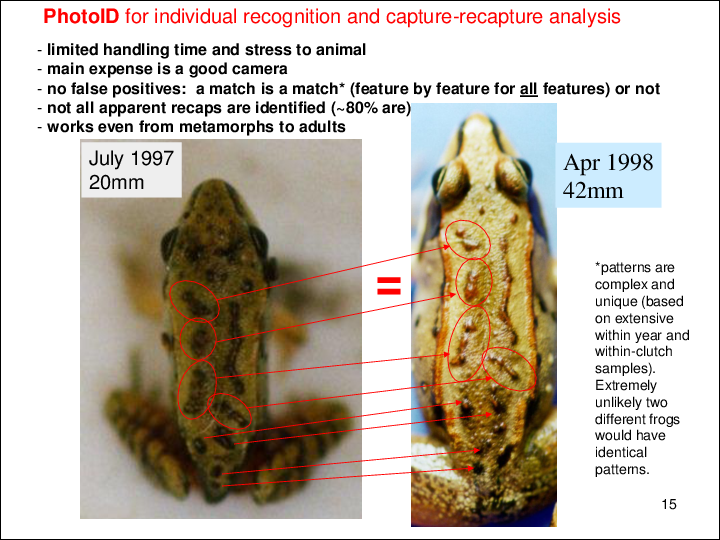 In this project, for frog identification, we want to have a computer image-matching or pattern recognition system to perform the identification rapidly and accurately. This project will involve studying different feature detection or pattern matching algorithms, such as SURF and SIFT, to perform identification of frogs captured over multiple seasons. A database for the images is available which has images for over 8000 captures, including 546 recaptures. The project members will be expected to provide an interface for identifying frogs, which should be easily updatable to include imagery from new captures. The project team may potentially include Electrical Engineering students taking the EE capstone course. When operating in a GPS denied environment one can determine location if they have a history of images taken of the ground while in-flight. For example our solar balloons have a camera that take images on set intervals such that there should be some overlap between images. It is the overlap that can be used to mosaic the imagery into a path that can provide current position information. In the process, it must correct differences in image perspective, rotation and sizing. However, for the solar balloon data, only rotation is of significant concern. The Robotics Mining Competition is an annual event where students develop the technology to mine as much material as possible in a 10 minute period. The competition is hosted by NASA at the Kennedy Space Center at the end of May. In the past, students have had alumni provide tours, met astronauts, get VIP passes to shuttle launches, and talked to the director of the space center. UND has done very well at the competition. This has included a first place finish in the completion and two second place finishes in the mining portion of the competition. The major objective is to automate the mining process. In the past the robot was controlled using a X-Box controller. The object of the 2014 Robotic Mining team is to eliminate the need for an operator. This requires the creation of an algorithms to process sensor data to determine the 1) location of the robot inside the competition arena (a SLAM system), 2) move the robot to the mining area, and 3) mine. The project provides students with an opportunity to work with a diverse group of engineers and travel with them to the competition. Support will be provided to offset cost of travel to the competition. Typically, student travel and housing costs have been covered. More information can be found at: www.nasa.gov/offices/education/centers/kennedy/technology/nasarmc.html. The need to protect key assets and information from being accessed by any unauthorized personnel or entities is the most important aspect of any design. Security threats such as Interception, Interruption, Modification and Fabrication can compromise important system wide qualities such as availability, security, etc. The safety critical systems that are controlled by communication systems are examples of what is known as the cyber-physical systems. The cyber-physical systems are secured to a certain extent; however, there still remains significant work to be able to adequately protect them from unauthorized access. There are many devices that are prone to security attacks on regular basis. The Architecture Analysis & Design Language (AADL) is an architecture design language standardized by SAE (Society of Automotive Engineers) and is used to model the hardware and software architecture of real-time and embedded systems. It has been widely employed in design and specification of Avionic systems. The main objective of this research is to extend AADL with High Level Petri nets that can be used to analyze and verify the security aspects of cyber-physical systems such as Unmanned Aircraft Systems (UAS). In order to support air traffic control services, the U.S. Federal Aviation Administration (FAA) has mandated the use of automatic dependent surveillance-broadcast (ADS-B) by January 2020. This system aims to replace the legacy approaches, such as primary and secondary radars, by employing global navigation satellite systems for its operation to generate a precise air picture for air traffic management. The major drawback of the ADS-B is its security as it broadcasts information of the flying aircraft carrying the device including its position, velocity, and other information over unencrypted datalink, which makes it vulnerable to cybersecurity attacks. Therefore, this research aims to develop a comprehensive multi-level security framework to secure ADS-B data transfer between aircraft and ground stations. The proposed method is expected to significantly secure the ADS-B communications against different attacks. Software for cyber-physical systems, such as spacecraft, requires extensive testing to determine whether it will function under all of the conditions that it may be exposed to in operation. This project will expand existing test plans, scripts and documentation to create a more robust testing regimen. Testing will be performed in concert with ongoing development by other groups. This project is part of the interdisciplinary OpenOrbiter Small Spacecraft Development Initiative and offers participants the opportunity to work on a large project with students from numerous disciplines. This provides the opportunity to learn/put to use time and project management skills and code version management in a workplace-realistic environment. The OpenOrbiter designs and software will be made freely available (as part of the open hardware / open-source software initiative) to allow their use worldwide. The Internet Operating System (IOS) middleware was developed as an extension to the SALSA programming language, because SALSA allows for transparent migration of actors between processors without disrupting a running program. It allows the automated migration of actors (similar to threads or processes) for load balancing and automatic redistribution of a program on dynamic networks (where processors may join and leave the computation). Integrating IOS with SALSA "lite". Investigating new approaches for automated load balancing. In collaboration with Rensselaer Polytechnic Institute's Worldwide Computing Laboratory, Dr. Desell and Dr. Carlos Varela have done significant research and development of the SALSA programming language, including the SALSA 2.0 alpha version, SALSA "lite". SALSA is a programming language based on the actor model, which allows for easy distributed programming. Communication between actors on different processors is handled transparently by SALSA's runtime. Further, actors can be created on remote processors, and even migrate between processors while running, which is also handled transparently by the runtime. Developing unit tests and a unit testing suite for the SALSA compiler and runtime. Developing a new version of the SALSA Compiler and runtime which compile SALSA applications into MPI/C code instead of Java. Improvements to the SALSA compiler -- such as better support for generics, increasing performance, providing more informative error messages. Improvements to the SALSA runtime -- such as increasing performance of actor message passing, migration and remote creation. Implementing distributed actor-based garbage collection. Designing and implementing semantics for actor-based distributed exception handing. Developing SALSA libraries for distributed actor-based data structures. Architecture Analysis and Design Language (AADL) has been utilized to specify and verify non-functional properties of Real-Time Embedded Systems (RTES) used in critical application systems. Examples of such critical application systems include medical devices, nuclear power plants, aerospace, financial, etc. Using AADL, an engineer is enable to analyze the quality of a system. For example, a developer can perform performance analysis such as end-to-end flow analysis to guarantee that system components have the required resources to meet the timing requirements relevant to their communications. The critical issue related to developing and deploying safety critical systems is how to validate the expected level of quality (e.g., safety, performance, security) and functionalities (capabilities) at design level. Currently, the core AADL is extensively applied to analyze and verify quality of RTES embed in the safety critical applications. The notation lacks the formal semantics needed to reason about the logical properties (e.g., deadlock, livelock, etc.) and capabilities of safety critical systems. The objective of this research is to augment AADL with exiting formal semantics and supporting tools in a manner that these properties can be automatically verified. Toward this goal, we exploit Petri Net Markup Language (PNML), which is a standard acting as the intermediate language between different classes of Petri Nets. Using PNML, we interface AADL with different classes of Petri nets, which support different types of tools and reasoning. The justifications for using PNML is that the framework provides a context in which interoperability and ex-changeability among different models of a system specified by different types of Petri nets is possible. Feedback from analysis of various petri nets model should be used to correct the deign at high level of abstraction. Various capstone teams have contributed to a video game (Zeus) that was written in Unity. Further development (refinement and additional layers) are desired. This game is used as a recruiting tool and many public events. The UND Writers Conference Digital Collection is a collaborative project between the Chester Fritz Library and Dr. Crystal Alberts, director of the UND Writers Conference, which is working to make the 600 hours of video of the UND Writers Conference archive (1970-present) freely available online for scholarly, historical, and educational purposes. The UND Writers Conference Digital Collection also plans to include fully searchable e-texts of the transcriptions. To date, the collection has approximately 117 hours of video online, along with 25 hours of transcriptions: http://library.und.edu/digital/writers-conference. This project will involve developing a prototype of the fully searchable e-text database of the transcriptions, which are currently encoded in Text Encoding Initiative (TEI) compliant XML (http://www.tei-c.org/index.xml). I am open to the idea of not using the XML files, but finding another way to create a fully searchable e-text database. In addition (or instead of), if copyright issues are resolved, I am interested in developing a way to crowdsource transcriptions of the video similar to what the University of Iowa has done (although with video): http://diyhistory.lib.uiowa.edu/. These transcriptions (after a few levels of review/QA) would then be fed into the searchable e-text database. In order to complete this project, the following skills will be needed (or learned): HTML, PHP, Java, XML, XSLT, MySQL, and API. 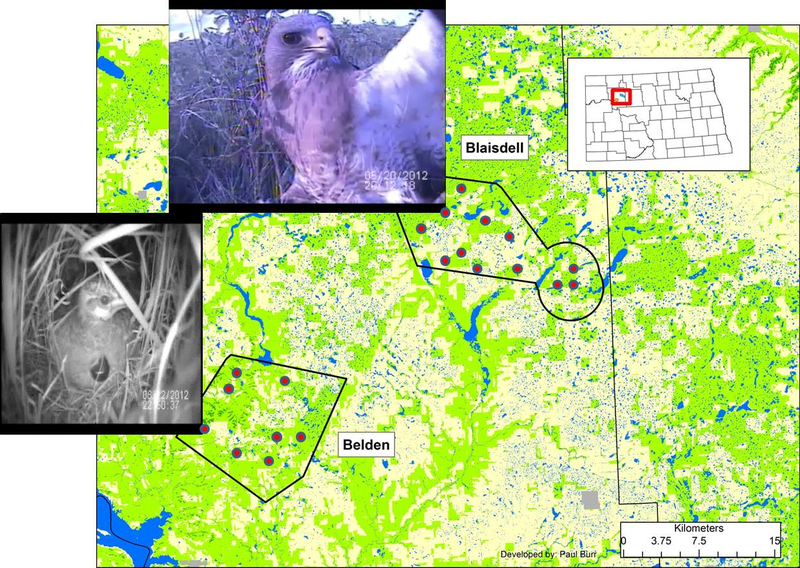 Wildlife@Home combines both volunteer computing and crowd sourcing with the goal of analyzing the tens of thousands of hours of wildlife video gathered by Dr. Ellis-Felege, so it can be evaluated to investigate hypotheses about avian parental behavior and the impact of gas and oil development in western North Dakota. The project is currently investigating three species: piping plover and interior least terns, federally protected species; as well as the sharptailed grouse, a species indicitave of habitat health and an important game species. Improving the accuracy and reliability of Wildlife@Home's motion detection algorithm, which attempts to find moments of wildlife motion (as opposed to moving grass and changing weather) within the gathered video. Improving the accuracy and reliabilty of Wildlife@Home's feature detection algorithm, which uses the SURF (Speeded Up Robust Features) algorithm to determine the presence of the monitored birds, their chicks and predators in the gathered video. Development of GPU enabled motion detection and/or feature detection applications for use on Wildlife@Home's volunteered computers. Develop web pages to improve outreach to the volunteer users, by improving the web design and adding web pages to increase social networking and generate user interest. Create a suite of webpages to act as a scientific web portal for Dr. Ellis-Felege and her students to view the gathered video and analyze results from the computer vision methods and crowd sourced volunteers. Your task: To help us create the website that allows students to look at an interactive and dynamic map of our study areas with nest site locations and land cover classifications. This website should enable students to click on that nest and have a video clip linked to it appear. The student will then be able to record the observation for that nest as hatch or fail. If it fails, then there are options students can select to identify the predator who destroyed the nest. The webpage will need to include links to educational resources developed by the project supervisors such as module learning objectives, assignments, and background material for teachers for a series of different grade levels.